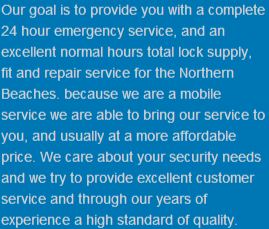 We only employ trained and licenced locksmiths. The Security Industry Act of NSW requires that all locksmiths be correctly licenced for the work that they carry out. This licence is your guarantee that your locksmith has been approved by the Security Industry Registry under the auspices of the NSW Police Force. You should look for the Security Licence when your locksmith arrives. The Security Industry Act requires that locksmiths wear their Security Licence. All Warringah Locksmiths (All Warringah Security Pty Limited) holds the Master Security Licence 407573185 as issued by the NSW Police Force through the Security Industry Registry. Kevin Hardy is a full and financial member of the Locksmiths Guild of Australia. Membership of this Association allows ongoing training and information on the newest and best security measures. This means that you have access to these latest security measures and products. 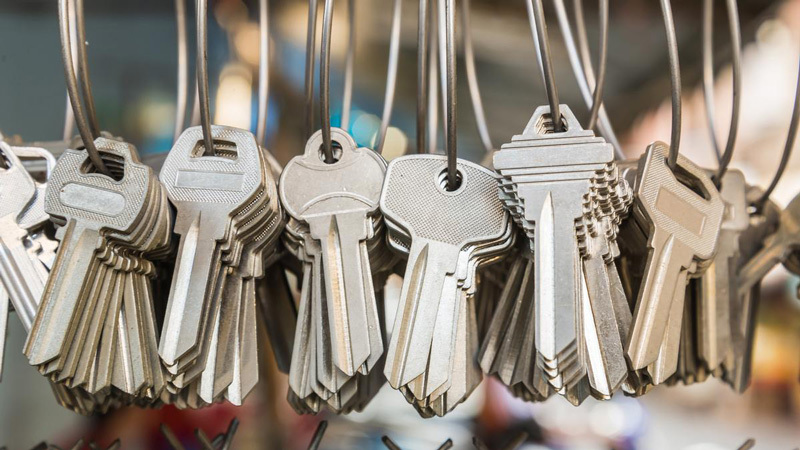 Lock-out service, re-keying, lock repairs, key changes, safe services. Deadlocks, deadbolts, entrance locks, internal latches, window locks.